GNADENHUTTEN — Fourteen area seniors will return to the hardwood on March 29 when the District 5 Basketball Coaches Association stages its annual all-star games inside Indian Valley High School. The girls game begins at 6:30 p.m. with the boys game to follow. Admission is $6. District 5 consists of schools in Jefferson, Harrison, Columbiana, Carroll, Tuscarawas, Holmes and Coshocton counties. Headlining the girls East squad is Buckeye Local’s Emily Holzopfel, a first team All-Ohio Division III selection. She finished her high school career with more than 2,000 points and averaged 26.3 points per game this season. The Panther standout became the eighth player from an Ohio Valley school to reach the 2,000 point mark. She will be joined by fellow Buckeye Local senior Alaire Destifanes, who averaged 18.6 points per game for the Panthers. Catholic Central will have two representatives on the East team in Julia Zatta, the District 5 Division IV player of the year, and Christine Dombrowski. Zatta averaged 18.3 points per game for the Crusaders while Dombrowski contributed 15. Both earned Division IV all-Ohio honors. Harrison Central’s Lexee McAfee, 11.9 points per game, and Sydney Starr, 13 points a game, also will suit up for the East. Starr received All-Ohio Division III honors for her play this season. Jo’Zaeyah Jordan, who averaged 11 points per game for Toronto, and Mackenzie Orban of Indian Creek round out the local representatives on the East team. Orban averaged 9.6 points per game for the Redskins. Bailey Offenberger from Sandy Valley and Addie Rhodes of Minerva also will suit up for the East, which will be coached by Buckeye Local’s Tom Figurski and Charlie Nest. The West squad includes players from New Philadelphia, Garaway, Tusky Valley, West Holmes and River View. Big Red and Indian Creek both have two representatives on the East squad, which will be coached by Carrollton’s Mike Aukerman, for the boys game. Josh Zimmerman and James Roundtree, who helped lead Steubenville to the Division II regional semifinals, earned spots for the game. Zimmerman averaged 16.1 points per game and Roundtree 14.1. They both earned All-Ohio Division II honors. 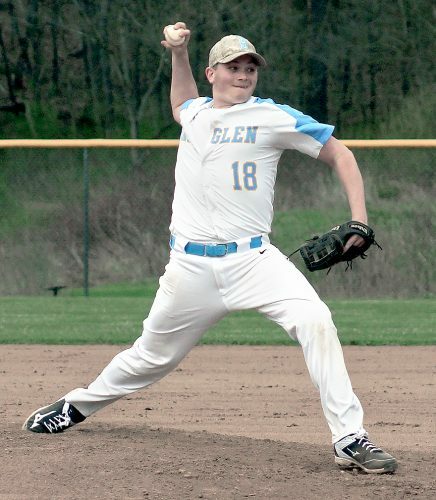 Creek’s Michael Allan, also a Division II All-Ohioan, will join teammate Austin Judson in representing the East. Allan averaged 15.8 points a game and Judson 13.4 for the Redskins. The other local representatives include Toronto’s Trillion West, 14.7 points a game, and Harrison Central’s Evan Stine, 10.8 points per game. West was an all-Ohio Division IV selection. The local seniors they will be playing with include Drue Moore of Carrollton, Gabe Roach from East Liverpool, Kale Sellards of Conotton Valley and Minerva’s Brice Williams. Players from New Philadelphia, Hiland, Garaway, Strasburg, Indian Valley, Tusky Valley and Dover will suit up for the West.